Getting Started with Public Speaking To Help Network Your Business! Think: Members of any active forum you belong to, your Facebook industry intimates, fellow Facebook Group members, or online friends that share the same hobby or career as you. Another surprisingly common scenario at local business organization meetings: Scheduled speakers being a no-show. This happens for a variety of reasons – missed phone calls, wrong dates, car trouble, nerves… The point is, be the one who is heroically ready to fill the gap. The practice will help diffuse your own “nerves” and help you improve your skills – even if you never give your speech that day – and if the organizer calls desperately for someone to fill in, you are right there, ready to save the day. Feel free to pre-record your speech and use it to promote your services. The trick is making sure that the speech itself is as value-rich as your paid services – and that both are unique, original and exactly what your audience needs. Even if you only have a gig or two under your belt, live your dream with passion. If you do – if all your focus for now is on developing your career in public speaking – you will find yourself naturally “talking it up” about your VA business with genuine enthusiasm. Let people know why you love giving presentations, what you specialize in, what you have to offer – and most of all, let them know you are available. Make sure you always carry business cards, and when you do talk up your public speaking abilities, hand out more than one card per person. Ask people to pass them on if they know someone who might find hiring you the solution to a problem. While many entrepreneurs are quite capable of speaking well on a variety of topics to a variety of audiences, your best strategy lies in specializing – becoming known as the expert in one specific area of one niche field. Offer to speak at your local Chamber of Commerce, civic groups, and other business and service-oriented organizations. 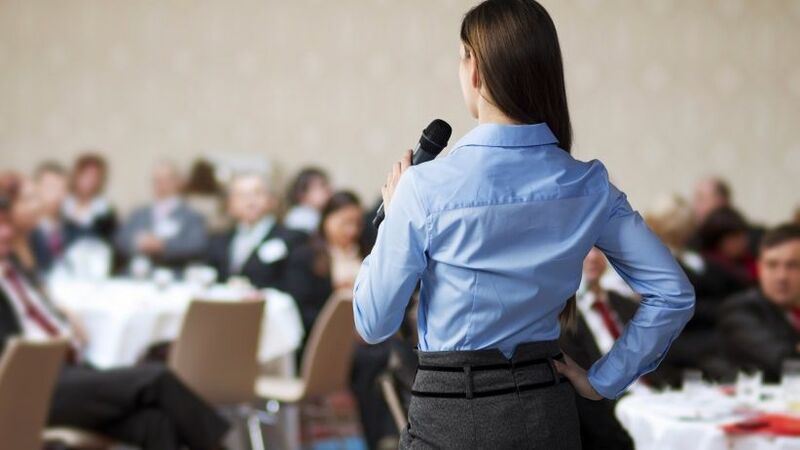 Many offer monthly meetings and are always on the hunt for speakers, so it’s a great way to build up your speaking chops while helping out a good cause. Do this for online and offline groups that include or focus on public speaking. So not just your local Toastmasters chapter, but also local business organizations that need and use speakers at every meeting, as well as focused LinkedIn and Facebook Groups. These organizations can give you plenty of practice – and exposure. Approach organizations you want to speak to. Find out the name of the correct person to contact – and send a query letter. Outline either one huge benefit to the organization or list three to five strong benefits. Give them the same promise you would include in your speech.